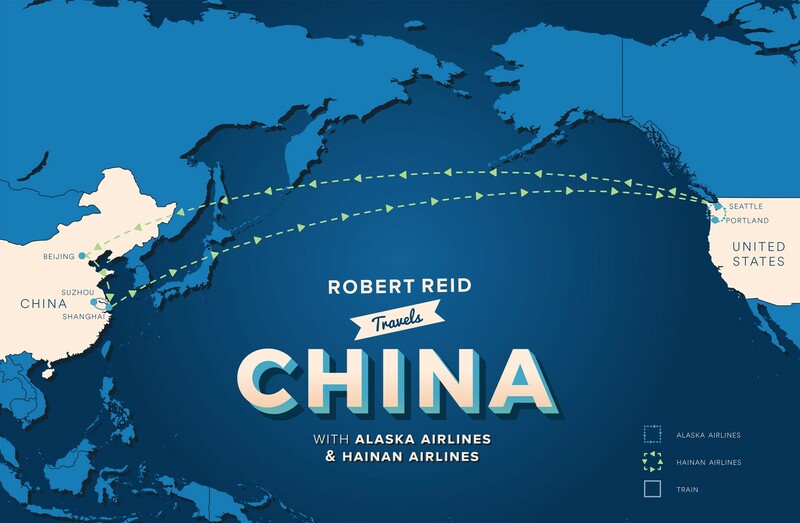 Robert Reid is a travel writer based in Portland, Oregon, whose writings have appeared in the New York Times and Wall Street Journal. He’s been the spokesperson for Lonely Planet, appearing on CNN, NBC’s Today Show and NPR to discuss travel trends. He’s currently the Digital Nomad for National Geographic Traveler. I eat food but I can’t quite call myself a foodie. So I’m kick-starting my exploration of Shanghai’s food scene on a four-hour night market tour with a dozen others. 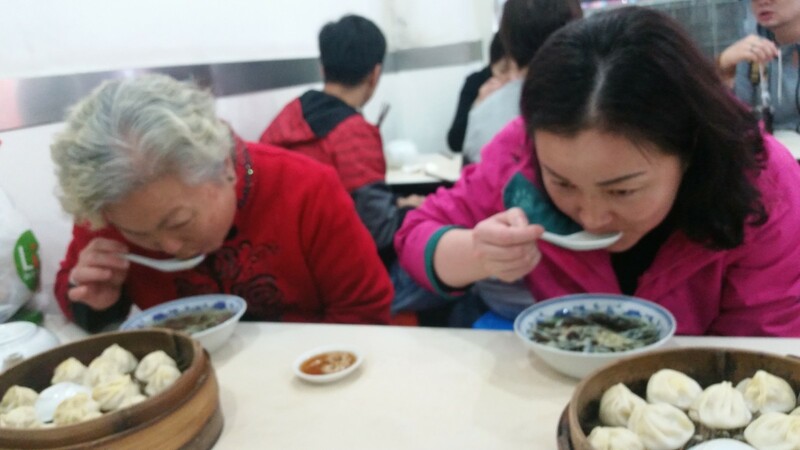 On our first stop, we’ve tried 10 or so delicacies: ear-shaped xiaolongbao soup buns, “dwarf dumplings,” heavily spiced “little lobster” crawfish, a fish-fragrant pork (with no fish), lotus roots grilled on a stick, purple sweet rice milk pudding. Now we’re toasting our mobile dinner with the world’s top-selling spirit, a fermented sorghum liquor that’s as strong as vodka and called baiju (pronounced “bye-joe”). I had never heard of it. I stare into the plastic cup, then raise it to my lips, and throw it back. It’s hard to describe what happens next. It starts sharp and toxic, but settles into a warm, faintly licorice-like aftertaste that isn’t altogether unpleasant. (Food & Wine calls it “savory and funky.”) A middle-aged Canadian with a goatee next to me exhales, smiles widely, then nods to accept a second shot. “This is definitely something,” he says. The physicist leading the toast is David Fishman, who doubles as a breathless guide for UnTour, which offers food-related tours around Shanghai for about $70 (450 RMB) including tons of drinks and food. He’s led us here, beyond the twinkling lights of skyscrapers and malls, to a rare surviving food street on Shouning Lu, a lane full of modest open-front options that stays active late. At first I write down the names of local dishes we try, but finally give in to enjoying the walking buffet, bite by bite. Energized by the tour, I go for a walking breakfast the next morning in the historic French Concession neighborhood, a rare area of art deco homes fronted by evocative plane trees twisting above quiet sidewalks. To find my breakfast, I simply spy on locals queuing for buns from open-front stalls, or at a grill for egg crepes stuffed with bean paste and green onion made on a corner by a fashionable strip of bars. 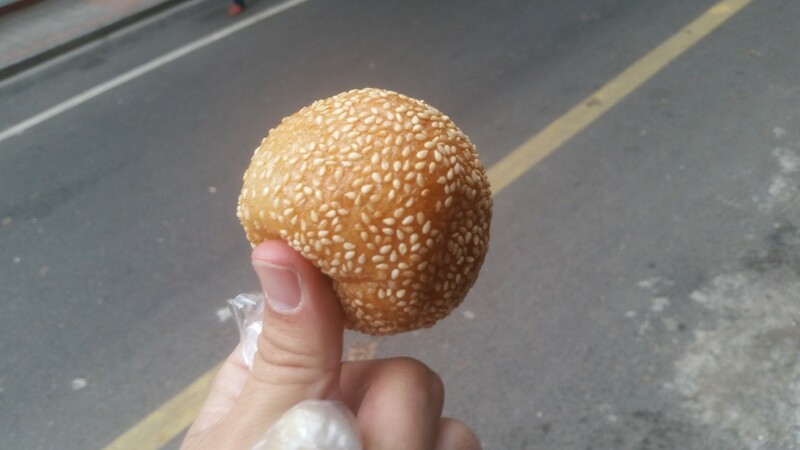 I go for a pork steamed bun from an open-front stand, some longan fruit from a curb vendor, and a baseball-sized rice ball filled with egg and bean paste from a food truck. Each “course” costs less than 50 cents. Fun. 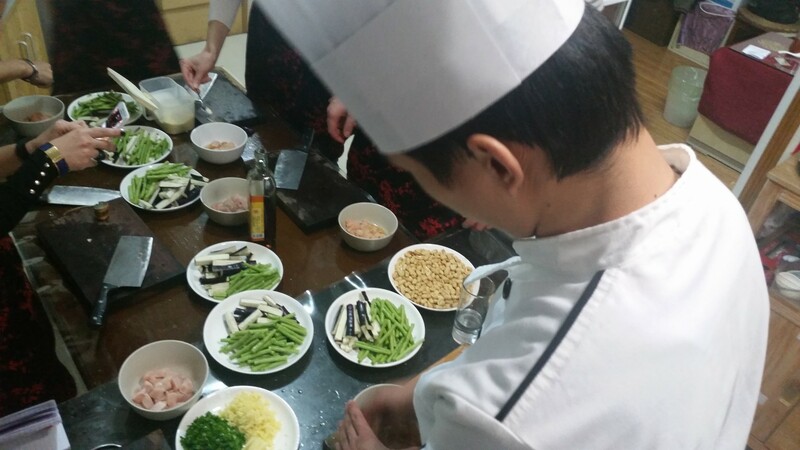 Travel is supposed to challenge us, so I take on the one thing that scares me more than a bungee jump: a cooking course. It’s my first. 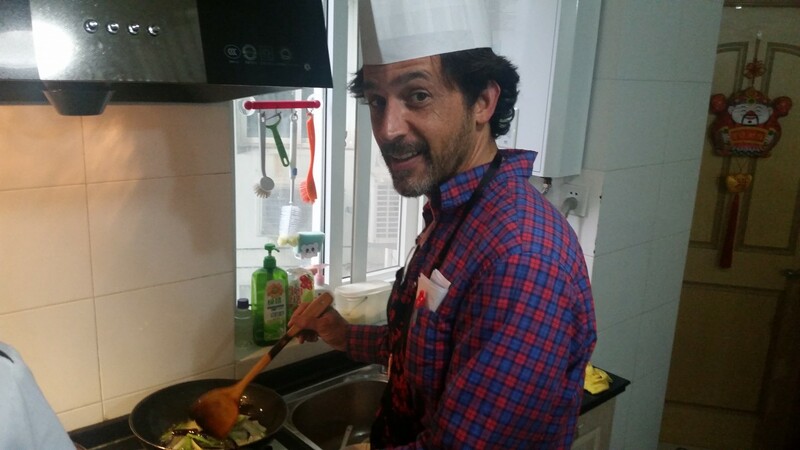 Shanghai has several schools, and I settle on a three-hour wok workshop on “healthy cooking” with Cook In Shanghai. Our cooking assistant Zhang Feng meets the five students (me, a visiting German couple and local expat friends from Spain and Italy) on a busy boulevard not far from the French Concession. Zhang moved to Shanghai four months ago for “opportunity.” She hands us umbrellas for the mid-day drizzle and leads us to a nearby back street and a “wet market” with two floors of meats and local produce. She appoints us with the tasks for the day’s ingredients, which include lotus, tomato, whole yellow croaker fish, chicken filets. I’m responsible for qie zi, or eggplant. A woman sells me more than I need, then jokingly tries to push some mushrooms. The class, which costs about $50 (299-350 RMB), is in a small apartment in a 24-floor apartment building on a busy street. Inside, a serious-looking man with knives meets us. This is our “master chef,” Mr. Cao, who peppers us with brief orders, usually in Chinese and Feng translating. It’s easy to follow. We breeze through three dishes, eating as we go. There’s Kung Pao chicken, steamed fish filet seasoned in soy and ginger, and my favorite: a tasty long bean fried with eggplant. As we prep, I stand by Mr. Cao, working my wok, adding oyster oil, pinches of garlic, a cap full of sunflower oil, sugar, sesame oil, and cook till eggplant gets a little soft. I don’t know if I can replicate all this at home without a personal Mr. Cao by my side, but I admit it’s fun being on a wok. That evening, I venture onto Shanghai’s metro to busy People’s Square to reach another small lane known for its dumplings, Huanghe Lu. I find it also offers a thrilling peek into a pre-glitz Shanghai. I wander past cheap barbershops down alleyways, open-front shops selling milk tea with imaginative flavors (pearl red bean, Hawaiian green, etc.). A man reads a book from the seat of a three-wheeled bike car, a woman hangs up clothes from second-story windows. Finally I join the longest line I see. It’s a dumpling shop called Lin Long Fang, a simple glass-front place with 10 uniformed workers inside clustered in a work station putting together a crab/pork paste for the dumplings. Everything’s in Chinese. The line moves fast. And soon, the cashier pulls out an old laminated menu in English for me and I point out my order and sit on a plastic stool at a four-seat table across from a mother/daughter combo. A minute later, I’m joined by a guy in all black. He wears black plastic frame glasses, a black goatee, and a stern look. He looks like a young Vladmir Lenin, except Jakob – I learn – is an artist, visiting from Poland. After my dumplings appear in a round bamboo steamer basket, I pick one up, dip it into soy sauce and take a bite. A burst of hot liquid explodes in my mouth. I’ve never tasted one better. I look up and see the local women across the table doing the same. As I eat on “lady-like,” I chat with Jakob. He’s been here for four months, making local friends and searching out art (his favorite collection is at a glam karaoke place) and trying lots of hole-in-the-wall eateries like this one. Before leaving, he shares a few choice spots I know I have to save to the next visit. I recently returned from a trip to Shanghai, Suzhou and Beijing, China, on Hainan Airlines, one of Alaska’s newest Mileage Plan partners. Hainan, a China-based, five-star airline, operates nonstop service from Seattle to Beijing and Shanghai and from San Jose, California to Beijing. Hainan also launched nonstop service from Los Angeles to Changsha, Hunan Province Jan. 21, 2016. All of Hainan’s North American routes are flown by Boeing 787 Dreamliners. Boarding is like immediately stepping into China, beginning with the food. An array of multi-course authentic Chinese meals come — steaming pot stickers in small trays — along with a selection of several Chinese loose leaf teas. Also, all miles flown count toward your Alaska Airlines Mileage Plan account. I stayed at the Pudong Shangri-La Hotel, with full-glass walls overlooking the center from a modern Pudong by the iconic, purple bulbous Shanghai Oriental Television Tower. For more on Shanghai eating, the ebook Glutton Guide to Shanghai has an excellent overview of types of local food, including Shanghai-style food known for its sweet and sour sauces. Follow Reid’s travels online at reidontravel.com and on Facebook, Twitter and Instagram. 2 comments on "Shanghai, bite by bite"
When can i book that trip? would like to go next winter if possible, does anyone have a brochure or more info on how to book? We went to Beijing, Suzhou,and Shanghai recently and flew with Hainan Airlines. It was a great flight. Our tour guide led us to many scenic spots and great eateries. We had the pleasure of eating dinner at a restaurant that featured 11 different dumplings! Very interesting and fun.